For this practice-oriented research project, seven institutes from across the globe have come together to collaboratively design, conduct and implement all aspects of the project. The IPS project coordinator is Centro de Investigación y Educación Popular/Programa Por La Paz (CINEP/PPP), Bogota (Colombia) and the project research coordinator is the Berghof Foundation, Berlin (Germany). Together, both institutes are working in close collaboration with several local case study partners, including: the Aceh Policy Institute/API (Aceh /Indonesia), the Faculty for Latino-American Social Sciences/FLACSO (El Salvador), Friends for Peace/FFP (Nepal), In Transformation Initiative (South Africa) and the SUDD Institute (South Sudan). The Center for Research and Popular Education/Peace Program (CINEP/PPP) is a non-profit foundation run by the Society of Jesus in Colombia that works toward the construction of a more just, democratic, and peaceful society, giving priority to men and women who have suffered exclusion and to victims. In order to achieve this objective, it generates alternatives for peace-building, human development, enforcement of rights, and expansion of democracy through research projects, production of information, education, supporting social processes, advocacy, and communication. CINEP has become the training center for many of the social managers and researchers working in Colombian universities or NGOs. The Berghof Foundation is an independent, non-governmental and non-profit organisation, supporting conflict-affected stakeholders in their efforts to achieve sustainable peace through peacebuilding and conflict transformation. Berghof works with like-minded partners in selected regions to enable conflict-affected stakeholders and actors to develop non-violent responses to conflict-related challenges. Berghof applies knowledge, skills and resources in the areas of conflict research and policy advice, hands-on peace support and peace education. Thematic programmes reflect Berghof’s assessment of requirements based on regional activities. Being cross-regional, they allow Berghof to learn lessons from their experiences on the ground and accumulate and communicate such new knowledge, skills and resourcesto feed into their regional work. Engaging non-state actors, such as power contenders, has become a key component of Berghof’s regional activities. Since non-state actors have come to play a relevant role in today’s conflicts, Berghof believes that no sustained transformation is possible without their inclusion. Working with them can be challenging as they include civil society multipliers, “hard to reach”’ members in resistance and liberation movements, as well as diaspora organisations. When spaces for conflict transformation allow drivers of change to prosper and stakeholders to constructively engage with each other, protracted violent conflicts can be transformed into sustained collaboration, and political and social change. 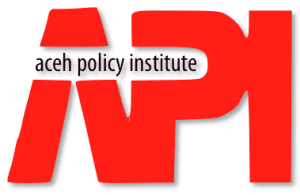 Aceh Policy Institute (API) is an Aceh based institute focused on providing policy research and dialogues to public and private sectors on development, governance, conflict transformation and human rights. Based in Banda Aceh, Indonesia, API is strategically positioned to provide researched-focused development advisory and research services to public, international organizations, private companies, government agencies and think-tanks across Indonesia and internationally. 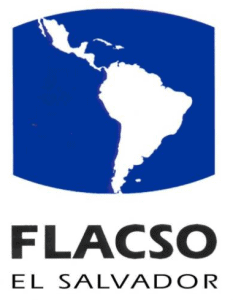 The Faculty for Latino-American Social Sciences (FLACSO) is an intergovernmental, regional and autonomous organisation founded in 1957. The Salvadorian branch was established in 1992, at the time of the signing of the peace accord, and has been one of the main institutions spurring the political and academic debate on the challenges related to the transition to peace and democracy, through public debates and advocacy, teaching, and academic research. Friends for Peace (FFP) is an NGO established in May 2004 with the aim of facilitating and contributing to sustainable peacebuilding in Nepal by supporting research, public debates and international exchange of experiences. FFP actively facilitated talks during the Nepali peace process and is now dedicated to making the peace process work at the grassroots level, since building peace from below and the proper resettlement of the Maoist ex-combatants and conflict-affected victims are crucial for a successful conclusion of the transition. Its Executive as well as Advisory Board consists of prominent Nepali peace and human rights activists. The “In Transformation Initiative”, has been recently established. Its Directors and its Patron have individually and collectively worked in the area of conflict and transition for over twenty years. They bring with them a wealth of experience that has been called upon by governments, international organisations and individuals throughout the world. The founding Directors and Patron were prominent actors in the strategy, discussions and negotiations that eventually led to the peaceful transition to democracy in South Africa. Their direct involvement in the South African transition and the lessons learnt from this experience helped develop skills that are regularly called upon to assist in other areas of the globe that are experiencing conflict or are in the process of transition. The approach of the In Transformation Initiative is premised on the philosophy that any solution to differences or even conflict, must be designed, must evolve, must be developed and settled domestically; solutions cannot be prescribed from external actors. This philosophy ensures ownership and sustainability. The SUDD Institute is an independent research organization that conducts and facilitates research and training to inform public policy and practice, to create opportunities for discussion and debate, and to improve analytical capacity in South Sudan. The Sudd Institute’s intention is to significantly improve the quality, impact, and accountability of local, national, and international policy and decision-making in South Sudan in order to promote a more peaceful, just and prosperous society. As South Sudan embarks on critical state building, nation building and development initiatives, little is known and understood about the country and the needs of its institutions and people. The Institute was established to close this knowledge gap and help ensure that decisions made during this critical period in the country’s history result in positive change.